← Preparing for visiting the East Kingdom . . . This past weekend was Winter Coronation for Anton III and Isabeau III, with a Torse in any Medium contest. Having just gotten a Dremel for Christmas, and as I had a large piece of copal to experiment on, it was a great chance to try something new. The copal was sourced from a family friend who happens to be an arborist, who found it in a tree (thanks, Rusty!) and gave it to me to work with. My process was inspired by this video on gem carving, which involves using rotary tools, diamond or emery powder, and tools made out of wood. As I’m starting out, I don’t have all the super-fine engraving tools (yet! I’ve priced a few on Amazon), but I also wanted to see what I could do with what I had. For starters, I invested in some Personal Protection Equipment (PPE). As Dremels are high speed and do kick up dust and particulate in the air, I definitely wanted to be protected. Additionally, copal dust can irritate lungs and create major issues with breathing. 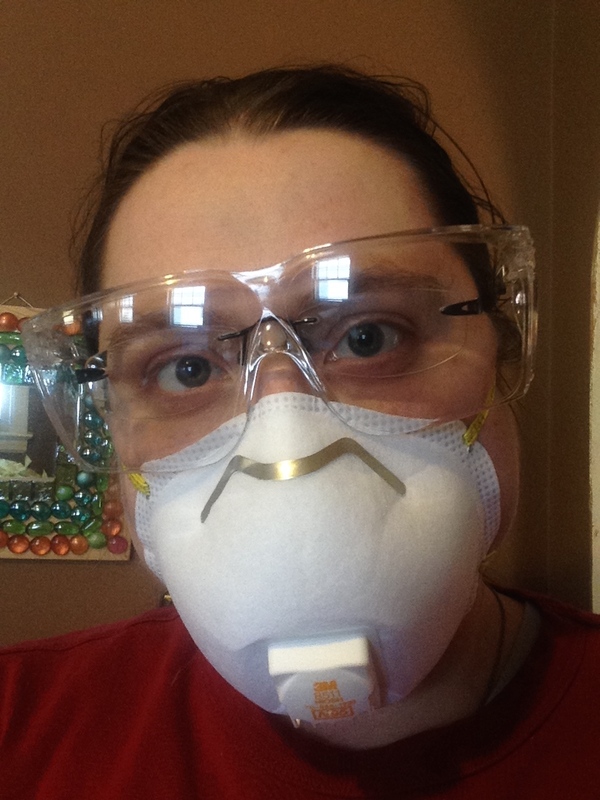 I like breathing, so on with the sanding mask and the glasses over my own glasses. This was the amount of copal I had to work with on an initial basis. I thought it looked an awful lot like an overgrown Jolly Rancher (didn’t taste like one, so don’t try that part at home, kiddos), and after trying to file a design into it, I knew I’d have to actually carve into it. The first thing I did was take a Sharpie and draw the design I needed into the flat face. Next thing that happened was to actually carve the Torse design (which will always look like something out of H.P. Lovecraft). After carving around the design to create a bas-relief carving, I then polished it up using the polishing compound that came with my Dremel, and then to create the difference between the copal and the carved portion, I painted over it with watered-down Higgins Ink. After this, I lacquered it with some spray lacquer to deepen the colour, protect the ink, and to keep the copal from melting after long-term wear next to the skin. I’ve learned a lot from this process, and excited to try some more carving with other materials. This entry was posted in calontir, engraving, jewellery, jewelry, largesse, medallion, SCA, Society for Creative Anachronism, Torse and tagged bead, calontir, carving, contest, copal, jewellery, jewelry, largesse, SCA, society for creative anachronism, Torse. Bookmark the permalink. I am only a recent follower of your blog, and as in my past life ( ie BC – Before Children), I was a lapidary, I was pleasantly surprised by this post. Please excuse my presumption in commenting. When you carve, don’t be afraid to wet your mineral. It won’t affect your dremel and cooling off the carving will safeguard it from cracking due to the heat generated by the friction of the dremel. 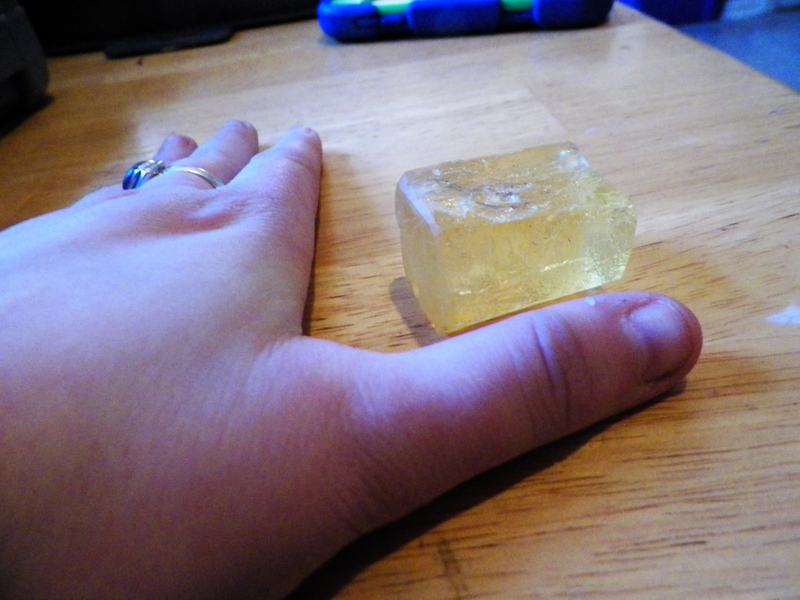 So, copal is, in essence, baby amber. Amber is fossilized tree sap, which is why it can be found in trees. 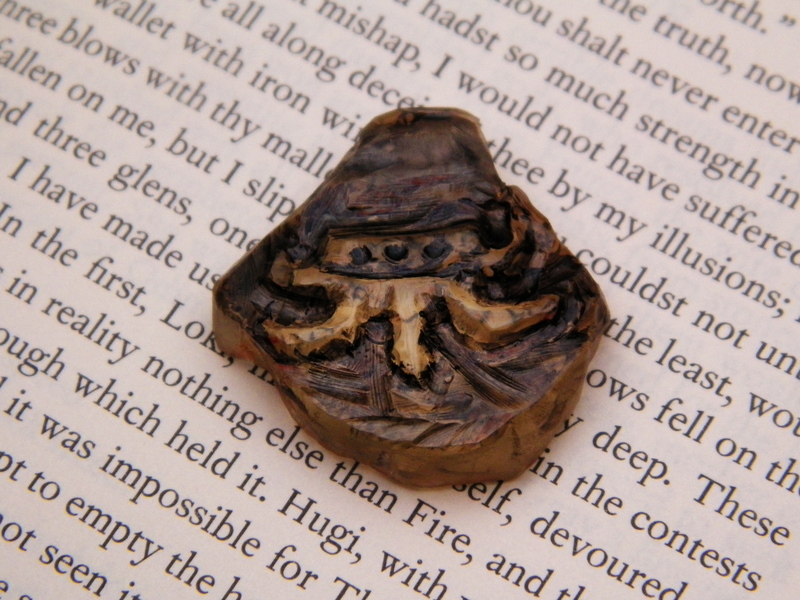 It can dissolve when in contact with human skin, so any pieces must be lacquered. It also makes an awesome sweet-smelling incense.